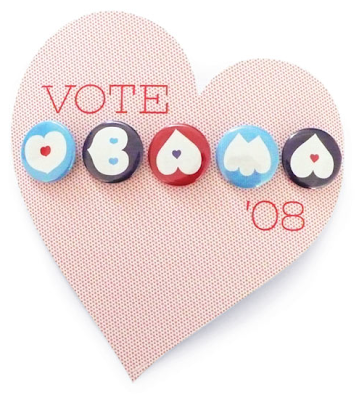 obama pin set available here and found on lovely morning. o.m.g. i just realized now that it said vote obama '08. that is uber cute! !